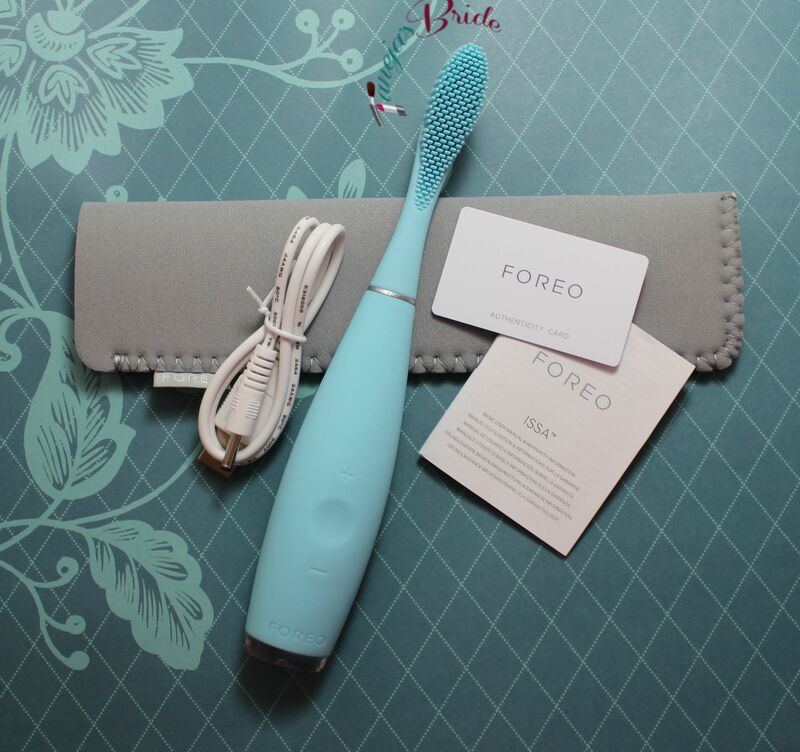 Recently, I had the opportunity to try the FOREO LUNA. 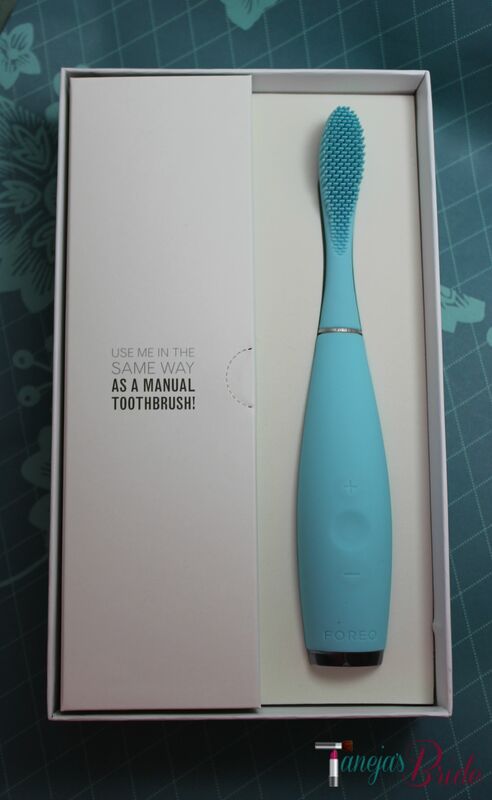 Immediately afterwards, I was given an opportunity to try the FOREO ISSA toothbrush, and I was super excited to try it out! What is the FOREO ISSA toothbrush, you ask? It’s an electric toothbrush made entirely out of silicone! The color I received was mint, but there are more color options! Let’s dive right in! Using the FOREO ISSA is simple! It’s like using an ordinary manual toothbrush! 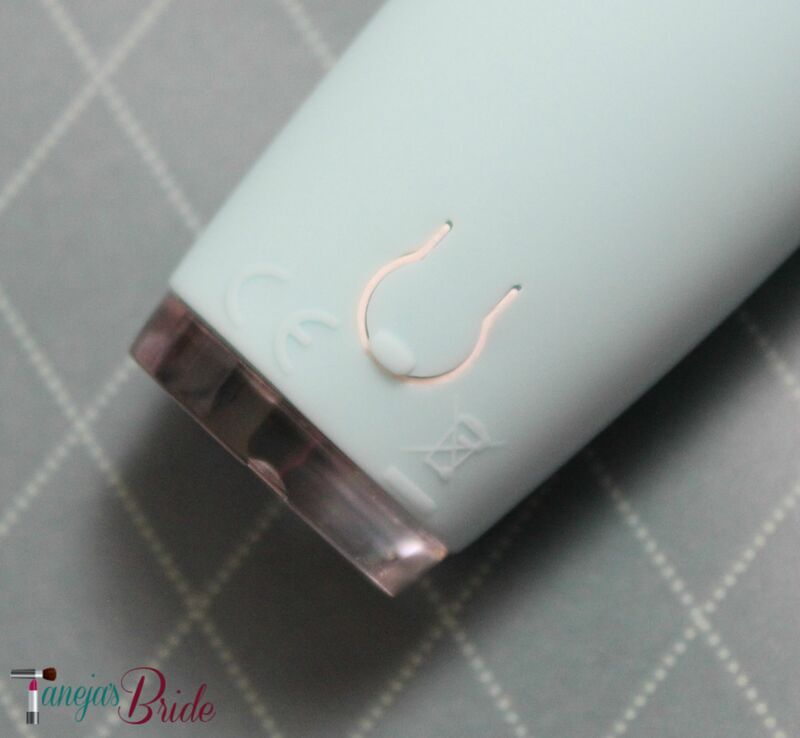 And before we look at the FOREO ISSA in more detail, let’s take a look at the features! 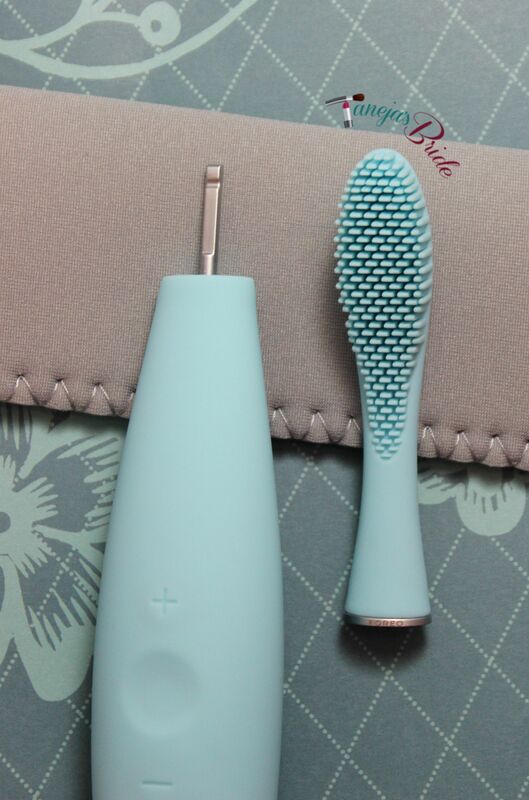 The FOREO ISSA‘s brush head is easy to remove AND replace. 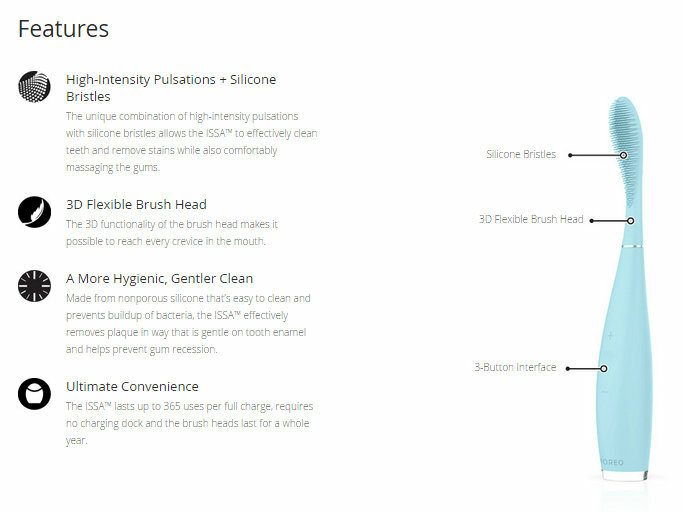 The brush head itself is made of nonporous silicone to prevent buildups of bacteria and easy to clean. 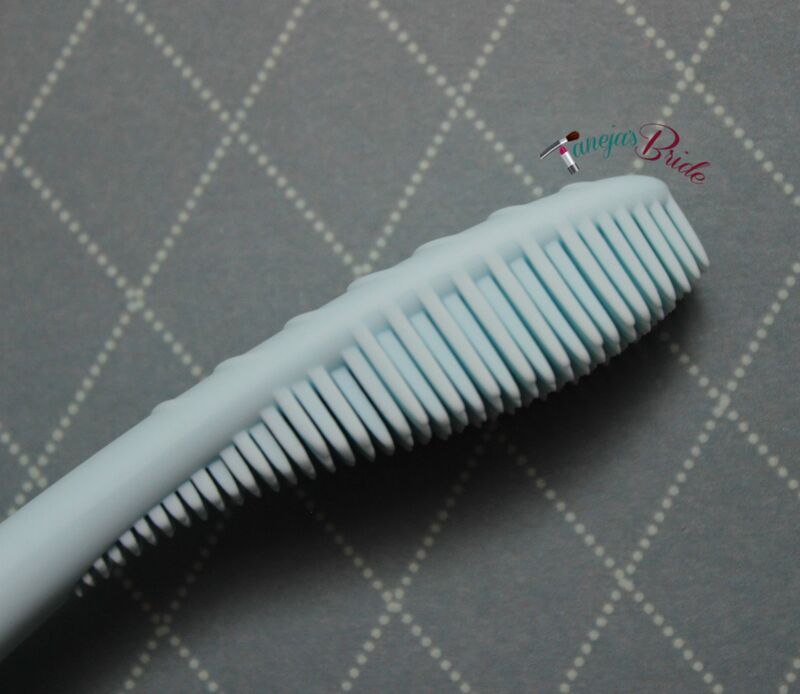 The bristles are gentle to remove plaque while protecting the tooth enamel. And, to use, you have the easy settings of + – buttons to increase/decrease intensity of your FOREO ISSA. I took the FOREO ISSA with me on vacation a couple weeks ago because it was simple to pack AND stayed clean. 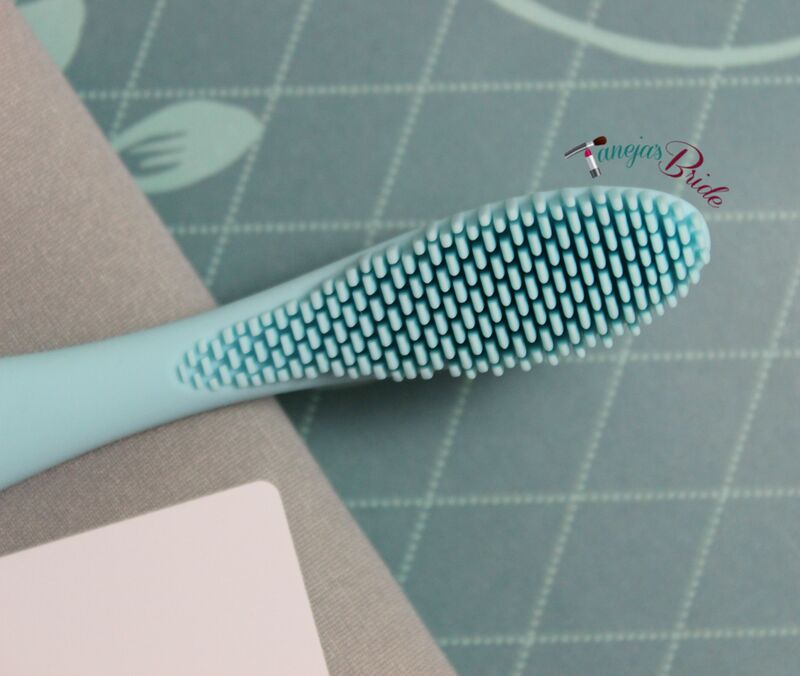 I, however, kept feeling like I didn’t even brush my teeth when I used it because I’m used to the bristles poking me in the gums and feeling the harshness of the ordinary electric toothbrush. 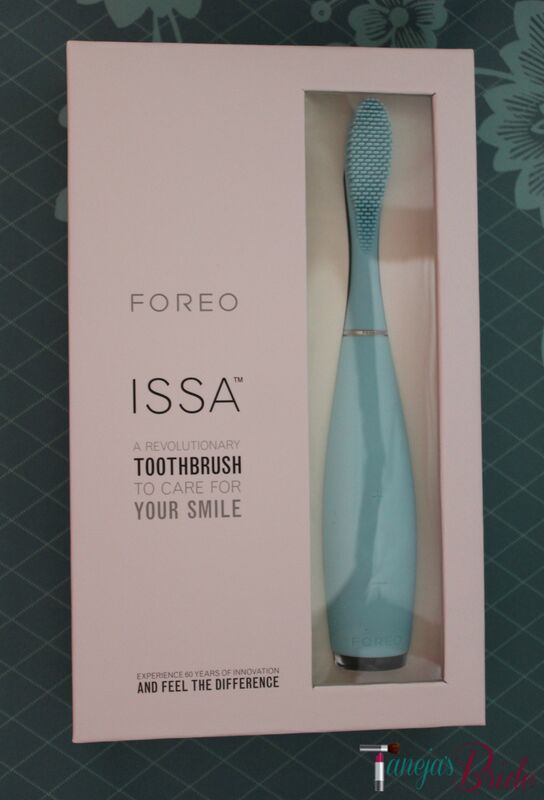 Now, when I say that, I appreciated the fact that the bristles of the FOREO ISSA did not poke and prod my teeth and make my poor sensitive gums ache, but I do prefer the deep cleanse rather than the comfort that the ISSA provides. I did, however, use this as a tongue cleaner, and did feel that it worked magnificently for this reason! So, even though, this toothbrush is revolutionary and gentle, it’s really not for me, sadly. What do you think? 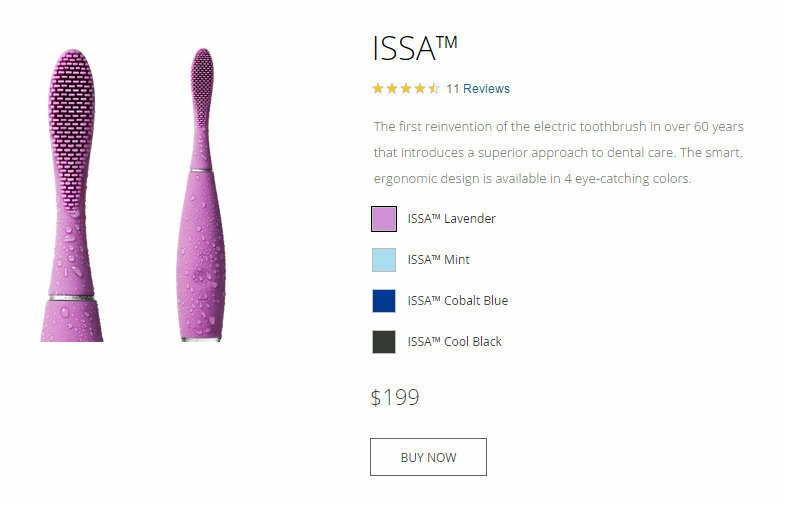 Would you purchase the FOREO ISSA ($199) toothbrush? 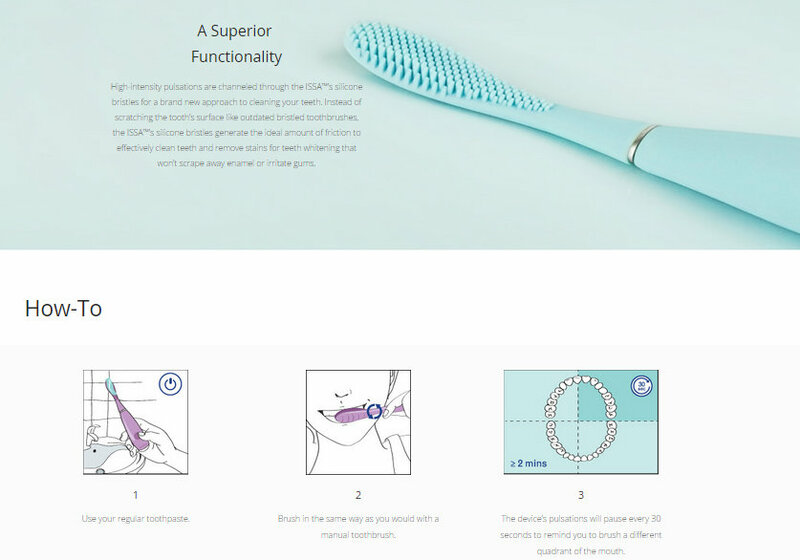 Such an innovative-looking device, but it sounds like they need to go back to the drawing board and fine-tune this to make it deliver more effective teeth cleaning! I think it’s a great idea but one I’ll skip because I need my teeth to feel clean after brushing! I need my bristles as well! Glad you found good use for it as a tongue cleaner though. When I first saw that so many people were getting these for review, I was jealous. I don’t feel that way now since I don’t think my hygenist would give me high grades on my tartar problems if I used this. Thank you for your very honest review. It really seems as though this is a miss for sooooo many people with respect to its ability to adequately clean the teeth. This is a rather expensive tongue cleaner! We are in agreement on this toothbrush. I would love to see a revamped version and compare! I’m so glad you posted this b/c I really wanted to try this toothbrush out. Now I know I can pass. The concept of this is great, but I’ve heard some not so good reviews, so I’ll be sticking with my braun ! On paper, it sounds like something I’m into trying, but quite a few people have mentioned it just doesn’t fell like it’s cleansed well. Too bad though, it sure is stylish! I’ve been reading a lot of mixed reviews on the toothbrush — I don’t think I would try it to be honest. I was considering trying this out, but my dentist said to not waste me time, so I passed. Thanks for the honest review. In love with foreo ? Educational article and thanks sharing these tips. I had braces as a child and usually found it useful to shun chewy foods, such as taffy. Also, use a waterpick to get all of the food out of your wires. Amazing piece and I appreciate you sharing these tips. I had braces as a kid and usually found it helpful to avoid chewy foods, such as bagels. Also, use a Water Pik to get all of the food removed from your teeth.